I pulled myself out of bed and made my way to the iconic Golden Gate Bridge, excited to capture the sunrise. One thing I hadn't counted on? A thick soup of fog. I could barely make out the glow of the bridge's steel trusses, and I had no idea whether or not the fog would lift. Fog or no fog, I decided to stick around to watch the sunrise anyway. I was rewarded with a spectacular morning show. 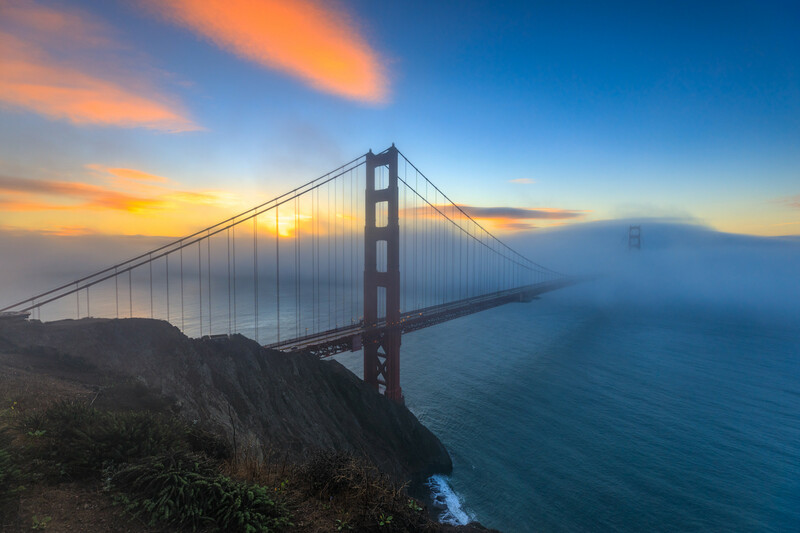 As the sun rose, the fog receded, slowly unveiling the bridge and some glimmering clouds, too.